The provincial government updated its retail website this week with information on how online cannabis shopping will work. Buying pot online in Alberta is going to be a little more complicated than clicking a few buttons on Amazon. The provincial government updated its retail website this week with information on how online cannabis shopping will work. The website will be the only legal online destination for cannabis shopping in the province once it launches on Oct. 17. 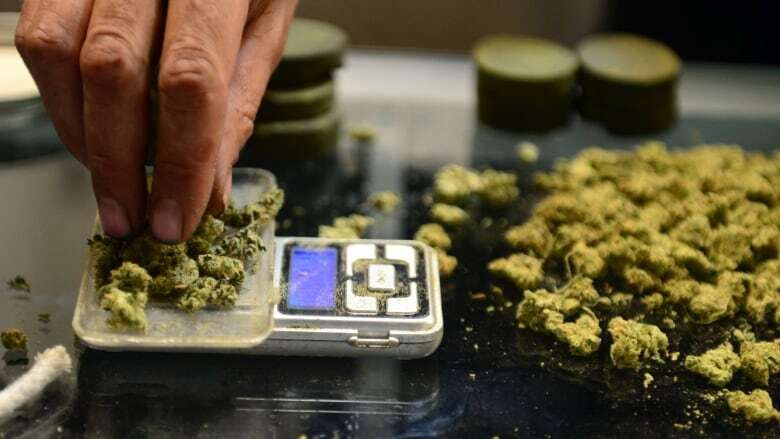 Alberta Gaming and Liquor Commission (AGLC) spokesperson Heather Holmen said consultations with Albertans showed their biggest concern about cannabis legalization was ensuring it stays out of the hands of minors. So, the website will include a process to verify buyers are over 18. "When users visit the website, they will be required to put in some fairly basic information. It's a very simple and seamless process. The system will do a quick background check, it takes seconds," she said. "If for some reason the user can't be verified through the system they may be required to upload a piece of photo ID. If for whatever reason that ID still can't be verified, the user will be issued a barcode they can take to a Canada Post location where a person-to-person identification verification and inspection of that individual can be conducted." Holmen said packages will be delivered door-to-door, but if the person who bought the parcel isn't home or isn't able to present photo ID, it won't be left in the mailbox or with a neighbour. However, she said despite the complex process, getting cannabis delivered will be discreet. "They're not marked packages," she said, explaining that there will likely be some kind of indicator on a package that it requires photo ID, similar to how some parcels require signatures. She added that information collected by AGLC will be stored securely, within Canada. Another way AGLC inspectors will be ensuring cannabis isn't sold to minors is by ensuring stores don't have paraphernalia displayed in their front windows, the way head shops do now. They'll also be paying visits to cannabis stores the same way they visit liquor stores and bars now. Holmen said the biggest challenge the AGLC faces is getting the message out about how legalization is going to work before October. "Public education is paramount coming into this new era we're approaching. Really, this is very similar to coming out of prohibition," she said.